We have several shirts that proclaim your dog's love for mom. Is a woman your dog’s primary care giver? 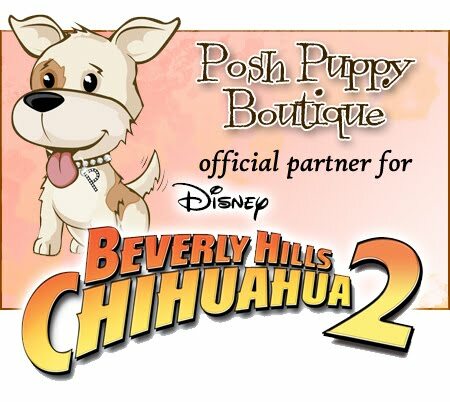 If so, let your pooch proclaim their love by dressing them in a tank top or cute outfit from the Posh Puppy Boutique. Our I Love My Mommy Dog Tank Top ($30) comes in either black or white. Made in the USA, this silk screened shirt is made with stretchy cotton. Sizes range from extra small to extra large. We’ve also got a boyish blue I Love My Mommy Tank ($25) with a metallic heart accent and high-cut belly. Sizes range from double extra small to large. A colorful night outfit for your dog is our lavender I Love My Mommy pajamas ($47). This ToniMari creation is made with lightweight stretchable fleece for a comfortable fit. Sizes range from extra small to double extra large. We also have several similar pet pajamas: Mommy’s Little Princess ($47) in pink, Mommy’s Lucky Charm ($47) in rose pink and white plus Mommy’s Little Peanut ($47) in pink. Honor moms everywhere with our Breast Cancer Bites Tutu Harness Dress ($105) with limited edition breast cancer awareness fabric and Swarovski crystals. This hand-crafted creation is custom made to fit your dog. Sizes range from extra small to extra large. Give your favorite female friend—and her preferred pooch—matching red American Eagle GalmourGlitz T-shirts. This stylized creation has the American Eagle swooping down and clutching the Stars and Stripes. Dog shirts are $30 and range in size from extra small to extra large. Matching human shirts are $40 and come in sizes from extra small to extra large. For men who want to create a laugh—and don’t mind spending the next month in the doghouse—consider adding our latex Grandma Hippie Chick squeak toy ($12) to your order. Available in small or large sizes, you can get one that matches your breed … or brood. 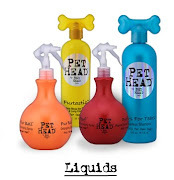 These and thousands of other items are available at the Posh Puppy Boutique. Call us at 888-837-5230 with any questions. Stay updated on all the latest pet fashion action andPosh Puppy Boutique Photo Contest by following us on Facebook and Twitter.